As a rabbi, I’ve officiated at more bar mitzvah and bat mitzvah ceremonies than I can remember. Throughout all of those beautiful coming of age ceremonies, I enjoyed watching the beaming faces of the proud parents, but I couldn’t yet relate to what they were feeling. Now I can. 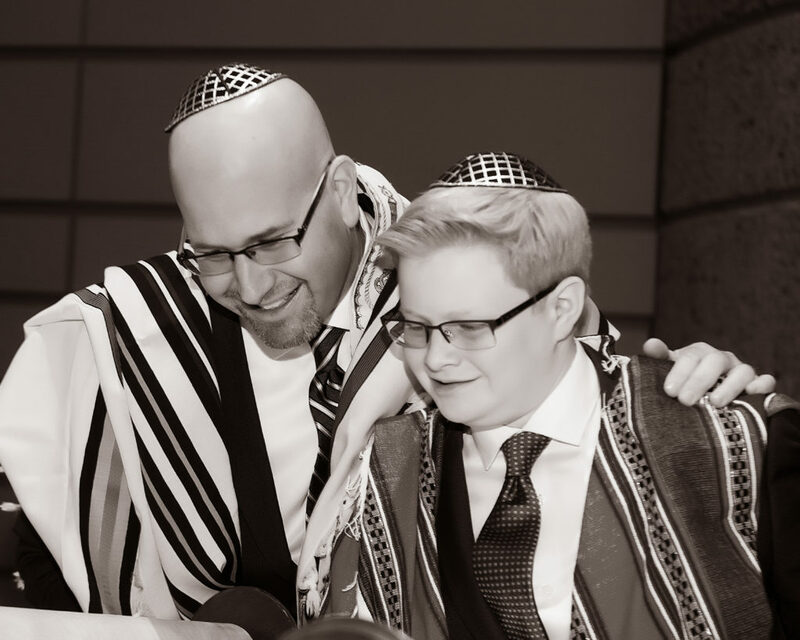 Earlier this month my own son became bar mitzvah. It was a special weekend for my family as we watched my eldest child chant from the Torah, lead the congregation in prayer and deliver beautiful words of Torah showing the community what he learned in preparation for this milestone. I pray that, despite the darkness that exists in our world, we all have the merit to experience the light that emanates from such moments of pride and joy. I took some time to reflect on the real message of the bar mitzvah ceremony. I realized that this milestone is as much a time for teens to enter maturity and age of responsibility as it is a time for parents to articulate the course they hope their children will take as they become young adults. I presented this in the sermon I delivered at my son’s bar mitzvah, focusing on the themes of leadership, questioning, and continuity. As parents, we often think about what type of adult we want our children to become. Which attributes should we favor? Are we content for our children to become good people or is it more important that they’re successful? Many argue that so long as our children are happy, we are satisfied. I argue that happiness, success, and goodness are all vital attributes we want and expect of our children, but we should focus more on leadership, questioning, and continuity. As parents we model leadership to the next generation, eventually handing off the leadership of our own tribe — our family — to them. Will they be ready? Will they be able to lead? These are significant questions for us as parents. If we impart sound leadership examples to them, we can be confident in their future leadership. The second attribute we should want our children to possess is questioning. We should take great delight in our children’s questioning. Rather than become annoyed that they sometimes ask so many questions, we should embrace their inquisitive minds. The third attribute we want our children to possess is continuity. Asking questions is just one way of ensuring the continuity of a just and righteous society. We also want our children to continue to value the democracy we enjoy as Americans and to preserve the customs we hold dear in our own families. As parents, we take such pride in our children reaching these milestone events in the life cycle not only because it marks the passing of time, but because it ensures the continuity of our tradition. We all want our children to be good, successful and happy. How do we help them achieve these qualities? With leadership training, the encouragement to ask questions, and through reinforcing the vital need to ensure continuity. I am so encouraged and proud of the way my son is growing into more serious leadership roles. I love how he questions everything, and I pray he will continue to be a questioning individual and never content with the status quo. And I am relieved that he is proving himself to be a rightful heir of the chain of tradition, continuing on the path that was set by our ancestors and leaving a trail for future generations. Next page Next post: Why Are Some American Jews Opting For Independent Bar Mitzvahs Outside The Synagogue?